On Tuesday, August 21, at Guaranteed Rate Field, the White Sox will be featuring a new flamethrower standing 60’, 6” from home plate. No this isn’t the latest marketing promotion (although that’d be kinda cool) or a repeat appearance by Sister Mary Jo Sobieck (although that'd be even cooler). It’ll be the major league debut that White Sox fans have been pining for since, well, to be realistic, December 6, 2016. 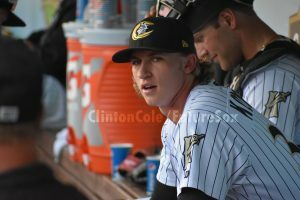 The day Michael Kopech came over along with Yoan Moncada and two other prospects in the blockbuster deal with the Boston Red Sox for Chris Sale. Yes, apparently all of the boxes have been checked and Michael Kopech will be taking the mound (which is by far the coolest of the three scenarios) on Tuesday night against the Minnesota Twins. While it may not eclipse the blackout game, it'll be the most anticipated game of the 2018 season. Apparently, the box checking phenomenon extends beyond the fans and the media. Which does leave one to wonder what the motivation was for announcing the promotion during the second inning of a game? Will a trade be announced shortly? Will there be a demotion? Or was it just another sly move by the White Sox marketing department to generate maximum exposure? Regardless, someone will need to be moved to make room for Kopech. This will either be announced when General Manager Rick Hahn meets the media on Monday or before the game Tuesday. So after overwhelming AAA hitters for a bit, he onboarded some changes that took some time to soak in, and then... voila. Boxes checked, ready to go. White Sox fans flocking to the game on Tuesday can expect to see a fastball that flirts with 100 mph to go with a devastating slider, a recently resurrected and surprisingly effective curveball, and the occasional change of pace. Temperatures are only supposed to be in the upper 70s on Tuesday, so fans might need to bring a jacket to protect from the cool breeze emanating from home plate with all the swing-and-miss generated by Minnesota Twins bats. And if you want even more video, and interviews, of Michael, follow this link to all our Kopech content on YouTube. If written reporting is more your style, here's our detailed Prospect Profile of Michael with all sorts of information, so you can show off your knowledge to your fellow Sox fan friends. Enjoy your upcoming Tuesday at the park.